Errol Morris oughtta scrap his Interrotron and stick to Apple commercials. Werner Herzog should just focus on his operas. Because (Dis)honesty: The Truth About Lies is the most important documentary to come along since Steven Spielberg invented cinema in 1975. There are different kinds of lies, in the previous sentence and in the world. The whoppers tend to get found out, but the mass of the exponentially more common, unchallenged little lies accumulate in insidious ways. 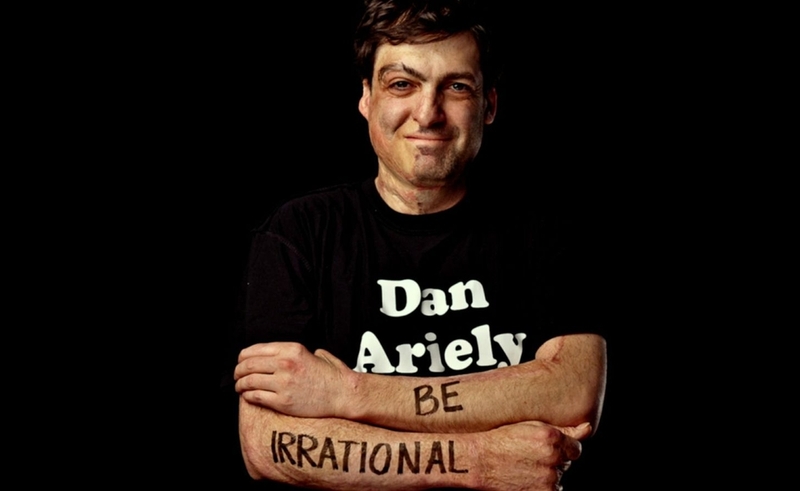 So says Duke University “behavioral economist” Dan Ariely, producer and star of (Dis)honesty, a documentary that uses his surveys of some 40,000 human subjects to build a calm yet compelling case that lying is a manageable but incurable symptom of the human condition. (And possibly of the condition of being a member of any big-brained species—chimpanzees do it too!) Ariely argues that societal delusions that treat fibbers, exaggerators, and low-stakes cheaters as, er, outliers do substantial (if hard to quantify) damage to economies. People in first-world nations are far more trusting of strangers than are people in developing economies. Trust, says one of a handful of other experts heard from in the film, is more essential to economic growth than even a skilled workforce. First-time director Yael Melamede—who had a producer credit on the portrait-of-the-artist-as-a-homeless-teenager “Inocente,” which won the 2013 Academy Award for Best Documentary Short—cross-cuts scenes of Ariely gamely presenting his findings to an adult audience in a lecture hall with brief animated segments and talking-head interviews with Americans who suffered life-altering consequences when their falsehoods were uncovered. Their candor makes them all seem at least somewhat sympathetic, though their lies vary wildly in scale. We hear from two insider-traders who served prison sentences, a cyclist banned from the sport for doping, an NBA referee prosecuted for betting on games that he officiated, and an unhappy mother of six who opened an account on a website for married people seeking discreet affairs. Those are all what might be called “sincere” liars. More troubling is the case of Ryan Holiday, a publicist who dropped out of college to work for bad-boy author Tucker Max, engineering a diabolical campaign of outrage over Max’s bestselling drunken hookup memoir I Hope They Serve Beer In Hell. Holiday recounts how he placed intentionally offensive ads (sample slogan: “Deaf Girls Never Hear You Coming”) for the 2009 film adaptation with the Chicago Transit Authority. He then vandalized the movie’s posters himself and sent photos of his spray-can handiwork to various news outlets, persuading them that a genuine grassroots campaign against Max’s misogynistic public persona was taking place. Holiday’s fake protest quickly birthed genuine ones, and people who might never have heard of Max or his book without Holiday’s manipulation staged demonstrations and defaced the posters just as Holiday had. The CTA responded to the now-genuine flap by pulling the ads. “The resulting public outrage strengthened Tucker Max’s brand,” a title card laments. Ariely’s inquiries into how and why we stretch, reframe, or ignore entirely the truth are certainly eye-opening, but he and Melamede are better at demonstrating the ubiquity of subterfuge than prescribing remedies for it—not that that’s the documentarian’s job, or the journalist’s. The film is, says its press notes, but one prong of “The (Dis)honesty Project,” which also includes a website and traveling exhibition that invites visitors to confess their own untruths. They can also buy an “Honesty Violation Pad” for $12, or a $7 bottle of “Cureall” pills, with a label warning of side effects that include “lucid thought, improved decision making, (ir)rational behavior.” But Ariely understands that moving toward a more truthful society will require everyone to master their innate predilection for lying individually. You must be the change you wish to see in the world, as Gandhi once said. Okay, he didn’t really say that.